The original inhabitants of Australia were almost wiped out by disease, massacres and aguably genocide. Harry Mottram cast as the aborigine in a play reflects on their troubled history and modern attempts to right the wrongs of the past. Cast as the Aborigine in Timberlake Wertenbaker’s drama Our Country’s Good may seem ridiculous since I am white and about as English as you can get. And yet, if I trace my family tree back I quickly discover that my ancestors included Dutch, Scottish, Irish and Norman French to name but a few. The first thing I decided was I would not attempt to ‘black up’ as would have been the norm in the past but rather to do as most contemporary theatres do and that is to ignore my skin colour. Dubbed ‘colour blind’ this is now standard practice for most theatre auditions and for casting. It means you will regularly see black actors as Shakespearian characters on stage or hear Chekov’s characters speaking with Scottish accents. However there’s no reason not to take inspiration for the costume and props from the art and dress of the Australian Aboriginal and Torres Strait Islanders and to symbolise their vastly diverse cultures in a theatrical way. Hence the use of kaolin and charcoal for make-up (plus standard face paints) and the painted designs of a shield and mask as personal props with the play’s themes as its motifs. 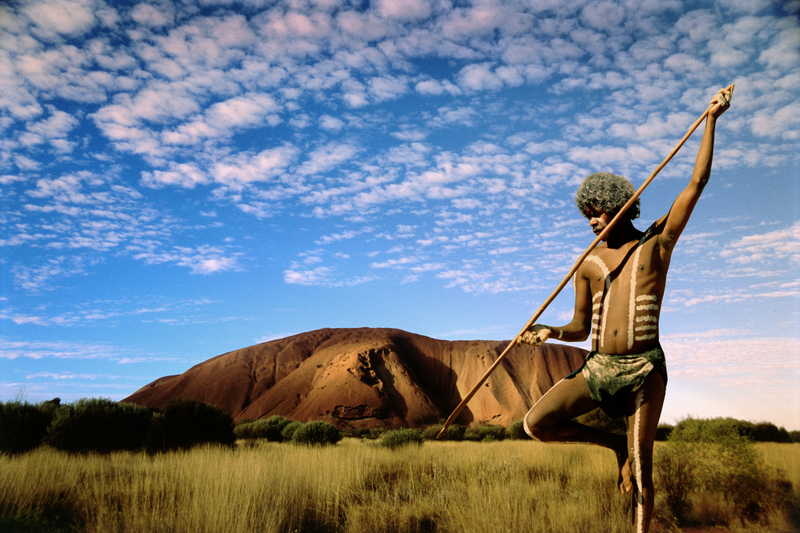 And I haven’t referred to Aboriginals as Indigenous Australians as they themselves prefer Aboriginals as they were the original inhabitants – the habitat originals. There is also the point that Aboriginals also make that the full picture is ‘Australian Aboriginal and Torres Strait Islanders’ as this also covers the islands north of the continent that are Australian but whose original inhabitants have a different heritage to those on the mainland but who have been equally disenfranchised. Wertenbaker’s play may help to realise the broadening horizons of the convicts as they take part in a play within the play transforming them from an underclass to future residents of the new lands. But as these characters transported for petty crimes in England begin to change, their arrival is the death knell for the Aboriginals and is not good for the original occupants of the land as in ‘for their country’s good’. Within a few months of the new settlers arriving in Australia diseases such as small pox began to devastate the Aboriginal populations eventually killing up to 80 percent of the first Australians during the next few generations. 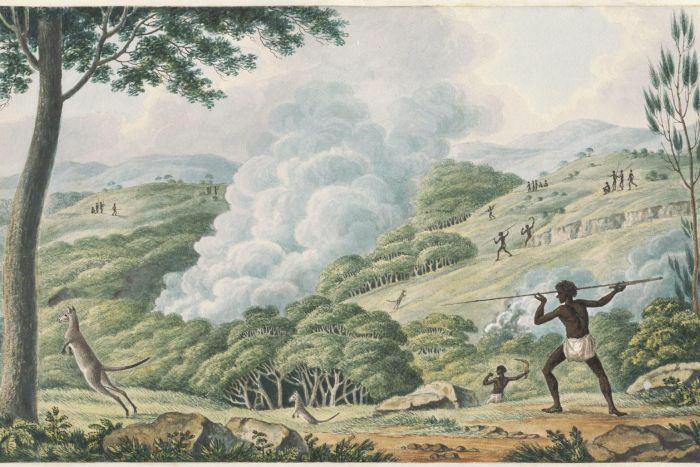 Added to that massacres of entire villages took place with white settlers shooting and hunting the Aboriginal people as though they were some form of game. In Tasmania it could be described as ethnic cleansing or even genocide with a concerted effort by the new authorities to kill the entire population which they very nearly achieved. For the next 200 years the policy of exclusion and enslavement saw the Aboriginals forced to the edges of society like an underclass where many of them still remain. The popular idea they were simply primitive hunter gatherers living in a semi-stone age world doing little with the continent’s vast resources has persisted as it was a convenient excuse to relieve them of their land rights. However perceptions have begun to change and that is in part due to the their own actions and those of enlightened Australians such as the historian Bill Gammage who took a new look at the lifestyle of the Aboriginals and Torres Strait Islanders as observed by some of the first explorers. In his book The Biggest Estate on Earth: How Aborigines Made Australia, he related how explorers saw and described the landscape. 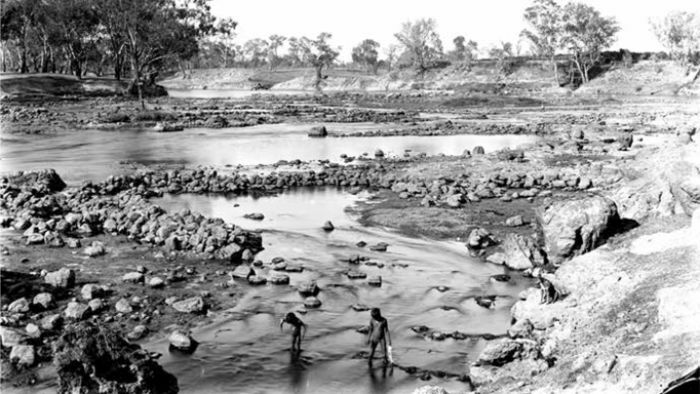 It was a revelation as it dispelled the myths that the Aboriginal population did little with the land. 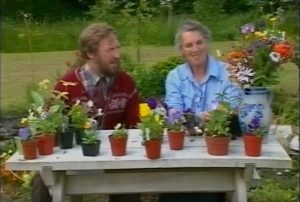 In fact there was plenty of evidence that vast areas were managed ‘like a farm without fences’. Controlled burning of undergrowth and vegetation allowed new grasses to appear, trees had been cleared to allow crops to grow, fish traps were built on a large scale and villages with stone foundations were constructed to house farming communities. It was only the vast landscape that held them back as in smaller islands such as New Zealand and Britain in their New Stone Ages it was competition for land from growing populations that led to fortified villages, organised farming and larger structured societies. In the 1970s Aboriginal Neville Bonner was elected to the Australian Senate and David Kennedy to the House of Representatives. 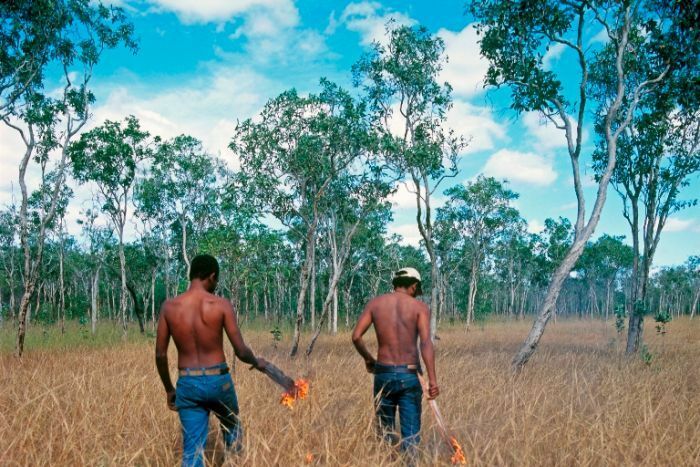 Since then more Aboriginal and Torres Strait Islanders have entered politics and have campaigned for land rights and the recognition of their place in Australia’s history. After all archaeologists now think Australia was first populated more than 50,000 years ago and yet in 1901 a ‘Whites Only’ law was passed which brought in a type of apartheid banning Aboriginals from swimming pools, pubs and amenities. What followed was a shameful period of segregation and disenfranchisement which only began to end following the latter part of the 20th century. Famous Aboriginals such as Adam Goodes (Australian Rules Footballer), Geoffrey Gurrumul Yunupingu (musician), Cathy Freeman (athlete), Eddie Mabo (social campaigner),Evonne Goolagong-Cawley (tennis player), Albert Namatjira (artist), and Oodgeroo Noonuccal (poet and social campaigner) all helped to shift opinion. There has been the shame of the ‘stolen generation’ when Aboriginal children were forcibly taken from their families and made to live in children’s homes or with white families (usually farmers) and treated as second class citizens in a ham fisted way to integrate them. It was a policy effectively brought to life in the film Rabbit-Proof Fence. 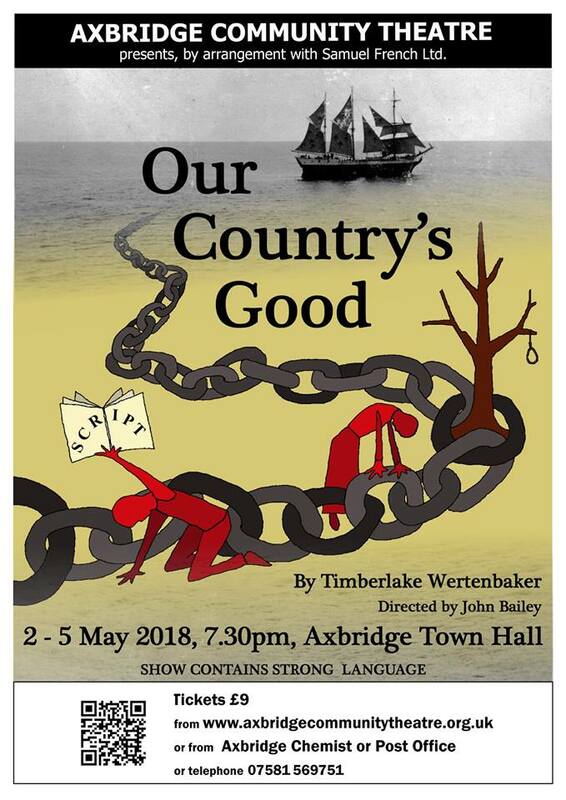 Axbridge Community Theatre presents one of the most popular plays of recent years about some of the first convicts to land in Australia. How they are treated, punished but also through the power of theatre begin to reinvent themselves as the the new Australians – at the expense of those who lived there for 60,000 years – the Aborigines. The plays runs from May 2-5, 2018.